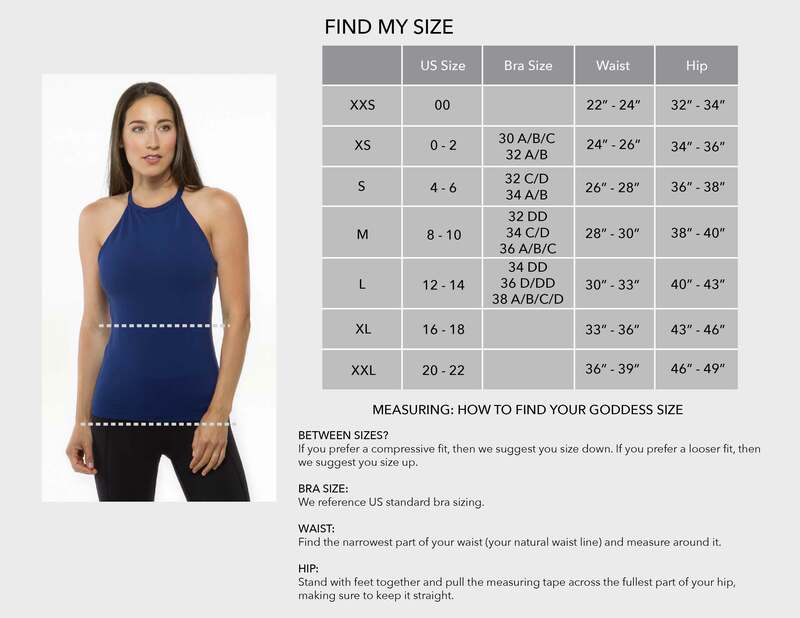 Finding the perfect activewear top can be a difficult quest. With all that's going on during your workout, your clothes shouldn't be another thing you even have to think about. So many details go into that perfect, effortless yoga top. At KiraGrace, our workout tops and yoga tops receive the best reviews out of all our apparel and for good reason. With ultra-soft moisture-wicking fabric, 4-way stretch, built-in bras fashioned with a double layer and pockets for optional bra cups, these tops are hard to beat. From lightweight comfort to supreme support, our women’s yoga tops with built in bras are handcrafted in the U.S.A. with superior, imported fabrics. We offer a variety of selections that cater to your goddess shape and style. With crop tops, action bras, dresses, ready-to-wear tops, layering pieces, and activewear tanks with long length hems, we have something perfect just for you. Not to mention they're so beautifully designed you can wear them out to dinner. With fashion-forward details, our workout tops are designed to seamlessly transition from studio to street. Never sacrifice fashion for function again.